"After forty rehearsals, Schoenberg and actress Albertine Zehme (in Columbine dress) gave the premiere of Pierrot Lunaire at the Berlin Choralion-Saal on October 16, 1912. Reaction was mixed, with Anton Webern reporting at the première whistling and laughing, but in the end 'it was an unqualified success'. "There was some criticism of blasphemy in the texts, to which Schoenberg responded, 'If they were musical, not a single one would give a damn about the words. Instead, they would go away whistling the tunes'." According to many books about 20th Century music, there were two (or three) significant works that heralded the start of “something new” in the direction music had been taking since the 1890s. One was Arnold Schoenberg’s Pierrot Lunaire and the other, perhaps more famous (certainly more frequently performed), was Igor Stravinsky’s ballet The Rite of Spring. Writers often mention Claude Debussy’s Jeux (“Games”), also a ballet, which was premiered May 15th, 1913. Stravinsky’s ballet would be involved in one of the great riots in music history at its premiere in Paris, two weeks later – on May 29th, 1913. 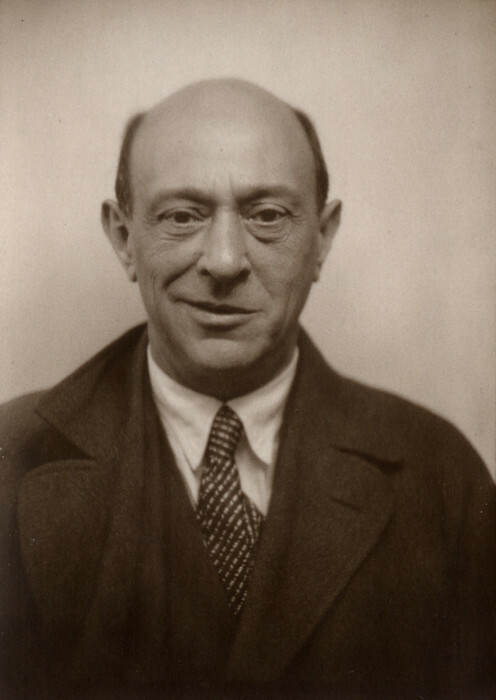 Arnold Schoenberg’s “Three Times Seven Poems from Albert Giraud’s Pierrot Lunaire” (as it was originally titled) was given its first performance one hundred years ago. Aside from the fact it seems odd to imply “the 20th Century began during the 1912-1913 Season,” it’s also strange that a work that’s now 100 years old is one that is still the subject of controversy – if not for itself, then for what it led to. I would prefer to think of the Centennial Anniversary of Pierrot as being July 9th, 1912, when he completed the work, but such dates are important only to other composers, I think, since most writers tend to believe less in the roles of creative inception or even its delivery as in the “second delivery,” when the work is first presented before the public – either as a performance or as a publication. This can lead to confusion, in some cases: Beethoven composed his Op. 95 String Quartet, the Serioso, in 1810 but didn’t publish it until 1816 which may seem no big deal to the average listener or concert-goer, but once you start thinking about what was going on in his head at the time he wrote it – or even what was going on in his life then, the date it was published is misleading. Of course, Schoenberg himself can be an example of this: anyone familiar with his luxurious Gurrelieder, a huge oratorio-like choral work, wasn’t premiered until 1913. To see that date and then see Pierrot Lunaire on a list of works dated 1912, it makes no sense, stylistically. Even though he “finished” the work in 1910, it’s still difficult to follow the differences in style. Actually, he’d begun working on Gurrelieder in 1900 originally as a song cycle for soprano, tenor and piano for a competition but missed the deadline by a week and so decided to “expand” it considerably. After essentially finishing it in 1903, he realized the orchestration was proving to be so time-consuming (and with no prospect of a performance in sight) he put it aside, completing it in 1910 then still waiting three years for its premiere. 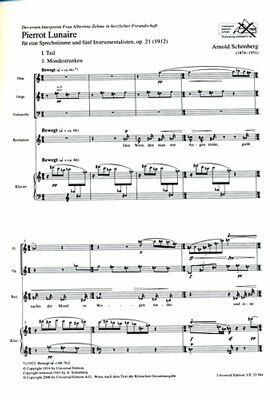 The first two parts were written under the clear influence of Wagner – evident in Schoenberg’s most frequently performed and, by later standards, accessible piece, Verklärte Nacht (“Transfigured Night”), written in 1899. By the time he’d written the final part of Gurrelieder, he had come under the influence of Mahler whom he'd met in 1903 (Mahler had finished his 5th and was starting work on his 6th Symphony). Since (roughly) around 1600, a musical work started in one key and ending in the same key (or – always an exception – from the minor mode to the major mode; or, less often, if the major mode is impractical, like B Minor to B Major (with 5 sharps and very difficult, then, to play in tune), you could always slip into the relative major, D Major (with 2 sharps and a brilliant key for trumpets, especially), like Bach did for his B Minor Mass). But ever since Wagner wrote Tristan und Isolde (completed in 1859, premiered in 1865), the traditional concept of musical organization we call “tonality” began to come undone. The harmonic direction – how the chords in one key moved to reinforce this gravity on the “local” level – became so chromatic, modulating so freely, it was hard to tell what the tonality really was, just listening to it (in one very dramatic moment of Mozart’s G Minor Symphony, K.550 (1788), the chords change, modulating so quickly, modern-day writers often point to it as the birth of “atonality,” something we blamed Schoenberg for 125 years later). Even Wagner pulled back from his rampant chromaticism in Tristan because how much further could you go? Franz Liszt wrote short piano pieces often titled something like “Bagatelle without Tonality” in the 1880s. Mahler often used a “progressive tonality” which, though less chromatic, focused less on the final resolution of the tonal implications of a work’s traditional structure. Mahler, to us today, would never sound non-tonal, but because he might begin in G and end in E Major (his 4th Symphony), he was already working at weakening the gravitational pull of three centuries of music theory. After this came several pieces, some small-scale, some large, in which he explored this new way of organizing sound – in what, actually, does not sound organized. For all its rules, classical music’s Tonality is a system in which everything is organized around a central focusing pitch – the tonality – and when you take this away, this center, gravity collapses and you have, as most people would react, “chaos,” compared to the music they’ve been listening to for centuries. In a previous post, I quoted a passage from another work he “composed” at this time, his theory book called Harmonielehre or “Harmony Textbook” (more euphoniously translated as “Theory of Harmony”). There are always generational differences between the Old(-fashioned) and the New(-fangled) and it’s typically perceived New Ideas are out to destroy or replace the Accepted Ideas of the Present Day (without realizing they were probably once the New(-fangled) Ideas of the Past). After describing new ideas as an aspect of growth, like the natural flowering of a tree, Schoenberg concludes: “Short memory and meager insight suffice to confuse growth with overthrow." Curiously, Schoenberg writes in an essay humorously entitled “How One Becomes Lonely” (1937) that the publication of Harmonielehre gave him a kind of respect among musicians – he was writing about traditional concepts of harmony, not “how to write atonal music,” after all – and this showed he had a musical pedigree originating (first of all) in Brahms, rather than Wagner (the two polarities of late-19th Century Germanic music) and that despite his lack of a great teacher with conservatory training, he actually seemed to know what he was talking about (add some symbol indicating sarcasm). He had already written a series of piano pieces (particularly the Op. 11 pieces) and songs (especially the song cycle, The Book of the Hanging Gardens, the Five Pieces for Orchestra (Op.16), the dream-like (or nightmarish) monodrama for soprano and orchestra Erwartung (completed in just 17 days), all written by 1909, plus a few more piano pieces, a song and another short opera before he began Pierrot. I was going to mention something about “the path of tonality” which is, more or less, a way of getting from here (the statement of a key) to there (after various digressions, the return or restatement of that key). Ironically, Erwartung takes place on a path through the dark night-time woods of a dream, but the woman (did she or did she not kill her lover?) cannot find her way (reality). Most people would imagine atonality as “off the beaten path” and that it is not satisfying in the long run because it lacks this symmetry of statement-digression-and-return that is the basis of tonality. But would most listeners today (if not those, a hundred years ago) know whether a piece begins in C-Sharp Minor and ends not in C-Sharp Major but D Major like Mahler’s 5th (or going from D Minor to D-flat Major, like his 9th)? And would they care? I don’t believe anyone grouses about Bach’s B Minor Mass not ending in B Minor or B Major. Looking ahead to what Schoenberg would compose after Pierrot, it’s interesting to realize he completed only one piece (a set of four songs with orchestra) between 1912 and 1920. 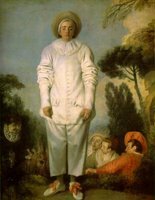 With Pierrot, it seems he had reached the limit of where atonality could go – just as he’d been feeling the limits of tonality before 1908. Just as Wagner had felt after writing Tristan – either you go forward or you go back. And if you go forward, you’ll probably want to find another way (or path) so other people can follow you. In that sense, Schoenberg evolved a “system of writing with twelve tones,” taking the twelve notes of the chromatic scale (rather than the seven notes of a diatonic scale that was long the basis of tonality) and weighing them equally – no hierarchy of tonic, dominant, sub-dominant as we had in Classical Music’s theory of tonality. Chords move in certain ways – they have “functions” in that sense. But not any more: is there another way to organize these sounds? Debussy was introducing chords that didn’t move at all, in the traditional sense, resolving to other chords, just moving to other chords with no sense of harmonic direction – passages of chords that are “non-functional” and create primarily color rather than harmonic progressions. (One could also get into the whole-tone scale as something else to talk about the de-gravitalization of harmonic tonality since the scale possesses no chord that can serve as a dominant-to-tonic resolution, but I’ve had too many digressions already). Schoenberg’s approach seems nothing more than the systematization of the all-chromatic, non-tonal music he’d been composing for only four years (1908-1912) into something that had rules and laws and exceptions that, unfortunately, became so rigidly observed by some of his followers, that it became a mechanical substitute for inspiration. Students taking an Introduction to Music Class who majored in Non-Music often enjoy the discovery of Schoenberg’s twelve-tone “system” – now, universally called “serialism.” It’s like a crossword puzzle; you can figure it out intellectually, fill in the blanks, and if you follow “the rules,” it practically writes itself (no matter what it sounds like). But you don’t sit down to enjoy reading crossword puzzles: you do crossword puzzles – it’s an interactive form of entertainment: no one watches you do a crossword puzzle. The whole problem of any musical system is getting beyond the system to create, in your own way, Art. Mozart and Beethoven learned rules and delighted in bending and breaking them (often to the consternation of their contemporaries). If they wrote strictly according to the rules, I doubt we’d be performing them any more than we might hear quartets by Kozeluch or operas by Weigl (to mention two popular composers who were their contemporaries). But it strikes me as odd that a hundred years after Pierrot Lunaire was first heard, it still strikes people as a “difficult” piece. 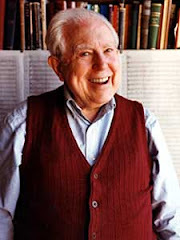 It certainly is an unsettling one – given the nature of the poems he set to the music he wrote – and there would be a decided disconnect between the poems and the music if he wrote it in the style of Puccini (who, incidentally, liked Pierrot when he first heard it). Listeners had trouble with Beethoven because he wasn’t Haydn, their pole-star. Then they didn’t like Wagner because he wasn’t Beethoven. Brahms didn’t like Mahler because, basically, he wasn’t Brahms. If you listen to an unfamiliar work (new or not, by whatever definition you choose) but judge it according to what you’re familiar with, anything new doesn’t stand a chance. Beethoven’s Late Quartets were panned by critics, listeners and performers as the result of his deafness. Even fifty years later, people still had problems accepting them, they sounded so contemporary. These days, the Late Quartets are held up as a pinnacle of achievement in the quartet literature that has rarely (if ever) been equaled. Well, perhaps listening to Wagner and Mahler and Schoenberg in between has helped us realize that what Beethoven was doing wasn’t so different after all? It was interesting, after talking about “innovations” in musical language before a program of Mozart, Beethoven and Lutoslawski with the Philharmonia Quartet Berlin last week at the start of the Market Square Concerts season, and starting off with a “dramatic reading” of the opening paragraphs of James Joyce’s Finnegans Wake, no one walked out of the performance of the unfamiliar Lutoslawski quartet – just as no one walked out of last season’s concert with the JACK Quartet which included, among other more recent works, Tetris by Iannis Xenakis. In fact, while there were those who didn't enjoy themselves, obviously there were many who did. Perhaps it’s time, now that we’re well into the 21st Century, that we listen to 20th Century music like the century-old stuff it is? My intent had been to write a historical background leading up to the premiere of Pierrot Lunaire, then do one of those up-close posts I enjoy writing about, whether anybody else ever reads them or not. But three hours and 2,300 words later, it’s become something else (been there/done that). Instead, here’s an earlier post re-posted with my own adaptation of the translation in preparation for a wonderful performance I’d seen years ago when the contemporary ensemble called eighth blackbird came to Central PA with Lucy Shelton to perform Schoenberg’s Pierrot Lunaire staged, with costumes and action (and memorized!!! ), not just as a concert song-cycle for soprano and chamber ensemble. You can read that post, here. One of the delights of that performance, by the way, was watching the audience. A few rows in front of me were several “older ladies” who looked like they might have been bused in from an “assisted living” center for a cultural night out, probably not knowing what they were getting into. Throughout the Schoenberg, I could see their faces: expressions of wonder, of laughter, of fear (some of it can be very scary) and in the end of enjoyment as they heartily applauded the performers. 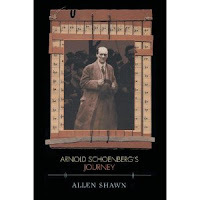 Incidentally, having a little fun with Schoenberg, here's a link to my serial novel (in twelve chapters) about a serial killer called The Schoenberg Code. 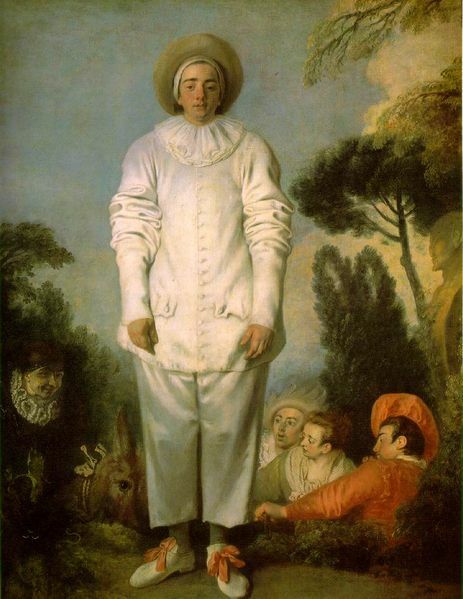 Arnold Schoenberg’s “Pierrot Lunaire” is the story of a moonstruck clown, a 20th Century descendant of the classic commedia dell'Arte clown. It’s not really a story, though – perhaps it’s more about story-telling. The way the story is told and the music Schoenberg composed to tell it have become one of the most significant works in the 20th Century. Today marks the 100th Anniversary of its world premiere. It’s originally a cross between a cabaret entertainment and the old “melodrama” tradition – spoken word accompanied by music – something that’s fallen out of favor in the last few generations. It’s not just “narration with music,” like “Peter & the Wolf” or “The Young Person’s Guide to the Orchestra.” The composer sets the text by writing out the spoken rhythms which very often creates a rather unnatural sounding extension of the spoken voice. What Schoenberg chose to do was create a style of vocal delivery that became something of the rage for a few decades: though it gradually fell out of fashion, if handled right, it can still be more dramatic than just plain singing or speaking (or something to make people giggle because they think it just sounds silly). And if it doesn’t seem to have much connection with today’s attitudes in music, think about rap! In 1912, Arnold Schoenberg set 21 poems by the Belgian poet Albert Giraud who composed 50 poems inspired by the old commedia del’arte figure of Pierrot the Clown in 1884. Giraud’s poems are in a specific old-fashioned French style called a “rondeau” which consists of thirteen lines where the first two lines are repeated at the end of the second stanza and the first line is repeated at the end of the third. 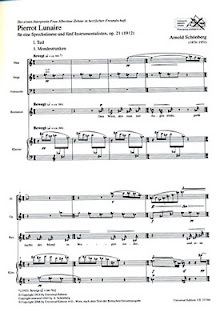 Schoenberg divides his piece into three equal parts of seven poems each. > In Part I, Pierrot, intoxicated by the moon, dreams of love or lust, with repeated images of blood and illness. > Part II places us in a violent nightmare world of adventure and blasphemy. > In Part III, highlighted by his prankish attacks on the hapless bald-headed Cassander, he journeys home to Bergamo, haunted by nostalgic thoughts of a fabled past with a happy ending after all. It becomes fairly clear these are “fantastical” stories, full of strange psychological symbols (the antidote to Realism, Symbolism became all the rage in France at the end of the 19th Century) drifting in and out like a nightmare careening from one image to the next. The color red recurs constantly – from Pierrot’s make-up table to a drop of blood which soon flows with constant reference to bleeding, to blood-red rubies, even to something as simple as a short red skirt worn by an old woman who “loves Pierrot till it hurts.” The moon and moon-beams, logically, are frequent images, often frightening ones (the moonbeams reflecting off a Turkish scimitar which Pierrot imagines will behead him), inspiring thoughts you might not think in broad daylight (not to mention other lunacy: when do our dreams turn most to nightmares?) along with the color black, whether simply the void of night-time or the realm of fear and the unknown. When I was looking for some on-line sites that might include reasonable English translations of the whole texts, I was surprised to find nothing that I could really link you to. Without wanting to risk any copyright infringement by simply copying into this post someone else’s translation, I decided at the last minute to do my own. They’re not meant to be a performing translation nor are they exactly literal – though in some cases I found some of the standard English ones do not seem to convey the original meaning, necessarily – but they’ll give you an idea of each poem’s content, which is all I’m concerned about. Drift in floods without number! Flows nightly from the moon in torrents. O could I pluck just one! The white and wondrous roses. Of the taciturn dandy of Bergamo. The fountain’s metallic tone laughs brightly. The moon illuminates the crystal flask. How will he make himself up today? Stretch down into the flow. Washes faded silks at night-time. A morbid and destructive charm. That stains the lips of an invalid. Like a faint drop of blood. From the altar of my verses. Pierced by a sword-like frenzy. O Mother of all Sorrows. Lures me like an alien melody. Have killed the shining sun. The horizon sleeps – silenced. Rises a scent, murdering memory! Pierrot! My laughter I’ve unlearnt! The picture of brilliance dissolves – dissolves! Black flies the flags from my mast, now. Bloody drops of ancient glories. Comes to the altar – Pierrot! By blinding rays of gold. On the black silk cushions. The moon, a shining Turkish scimitar. Flocking ‘round in ghostly swarms. Distant, faint the rabble’s cry. Holy crosses are the verses. Muted echoes through all his senses. From the old Italian pantomime. Then Pierrot forgets his tragic manner! Sweetly – a cranium driller! Who fills the air with shrieks! In the shiny skull of Cassander! In her little crimson skirt. Then suddenly – hark! – a whisper! Knitting needles, bright and twinkling. On the back of his black frock-coat. Drat, he thinks, a fleck of plaster! He wipes and wipes but can’t make it vanish! At a snowy speck of shining moon. He sadly plucks a pizzicato. Fuming at the night-time virtuoso. With a grotesquely giant bow. With a good wind behind his sails. A water lily as his boat. In the east the green horizon. The moonbeam is the rudder. Whirr through the gentle air. In 1912, the Austrian composer Arnold Schoenberg was commissioned by an actress who’d studied voice with the wife of Richard Wagner, Cosima, even though she was not really a singer: she wanted a work for speaker and piano, selecting texts from Giraud’s poems translated into German. Schoenberg chose 21 of them – as he called it, “three times seven poems” – and the accompaniment grew to include a flutist (who also plays the piccolo), a clarinetist (who also plays the bass clarinet), a violinist (who also plays the viola) and a cellist, in addition to the piano. Each of Schoenberg’s settings uses a different combination of instruments so the texture and sounds are constantly varied. Schoenberg’s famous (or infamous) “sprechstimme” – literally “speak voice” or, better, “speak-singing” – takes the singer into a more declaimed delivery style (or the actor into a more sung delivery style) that is really a combination of the two. Ms. Shelton described the exaggerated sound as opening a world of colors and registers that, while maybe sounding laughable when spoken in conversation, turn the voice into an instrument of constant variety. In Schoenberg’s sketches, he noted the exact pitches but instead of using traditional note-heads, marked it with an X. The rhythms are exact and work directly into the complex textures of the music with the other musicians, but he intends, really, the pitches only to be “implied” – directing the “speaker” to hold the note only briefly before falling away from it “in the manner of speaking.” In this way, the performer can use the pitches as a suggestion for the register of the voice or she can sing the pitches as written (Ms. Shelton said a recent recording by Pierre Boulez – I suspect the DG one with Christine Schafer in which he asked her to be truer to the written pitches “just because I think he wanted to hear what it sounded like” with the original pitches). You can also go to the Arnold Schoenberg Juke-Box (I’m not making that up) and listen on-line to each song individually. The juke-box, here, is a great resource whether you’re curious about Schoenberg’s music or are quite familiar with it and just want to – you know – listen to it at your computer while you’re sitting in your cubicle. Like any ground-breaking work, “Pierrot lunaire” is surrounded by controversy, even today: some people just hate it. That’s probably because they can’t get past the fact that it’s not Beethoven and you can’t hum it like Puccini – or maybe they’re too uncomfortable thinking about Pierrot’s nightmare world (or don’t want to admit they are). The musical style is called “atonal” because it’s not in the traditional mix of keys or tonalities we associate with classical music of previous centuries – no D Major or A Minor – and freely uses all twelve notes of the chromatic scale to create what (by comparison) you’d call “dissonance” (just to clarify, this is not the same as Schoenberg’s “twelve-tone” technique which would come about almost a decade later, a more complex way of organizing those twelve pitches into something comparable to the tonal system). Now, if you’ve read the poems and you’ve figured out what’s going on behind these fractured fairy-tales, a musical style as disembodied as the literary style would seem perhaps more appropriate to the “psychological disconnect.” Granted, one of the problems of this style is that it does “weird and anxious” better than it can do other moods – though the very opening of “Pierrot” just sparkles with reflected moonlight that is neither weird nor anxious – but as far as this piece is concerned, the style matches the words like a glove (maybe an ink-black glove splattered with drops of blood, but still, a glove). "It has never been the purpose and effect of new art to suppress the old, its predecessor, certainly not to destroy it... The appearance of the new can far better be compared with the flowering of a tree; it is the natural growth of the tree of life. But if there were trees that had an interest in preventing the flowering, then they would surely call it revolution. And conservatives of winter would fight against each spring... Short memory and meager insight suffice to confuse growth with overthrow." This would have been written for the first edition, published in 1911. October 16th, 2012, will mark the 100th Anniversary of the world premiere of Schoenberg’s Pierrot Lunaire, one of the first major works defining something new for the 20th Century. Meanwhile, I’ve been busy writing posts for the opening concerts of the new season for the Harrisburg Symphony – see the posts below for Robert and Clara Schumann as well these posts about Schumann's Rhenish Symphony, Rachmaninoff’s Rhapsody on a Theme of Paganini and Richard Strauss’ Don Juan – and for Market Square Concerts – background information for Mozart’s Quartet K.499 and Beethoven’s “Harp” Quartet (here's the 2nd part) plus one about Witold Lutoslawski and his 1964 String Quartet which the Philharmonia Quartet Berlin will play in between. It’s fun, writing these – actually, doing the research and combing through material to combine different information that sometimes the average listener may not be aware of in that particular context – and it’s good I enjoy doing this because, frankly, the number of people who read them would be fairly depressing considering the modern American view of judging Art by its ratings. I’ve also been trying to get caught up on writing my “music appreciation thriller,” The Lost Chord (a revision of an earlier parody which I’d started posting here until I realized no one was reading it), and I’m almost done with the third of its four parts (basically a 180,000 word novel, I have about 40,000 words to go). 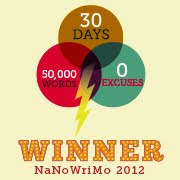 It doesn’t look like I’m going to participate in this year’s NaNoWriMo because their goal of 50,000 is more than I have left to write for this novel and I don’t want to stop working on Lost Chord to start another one. Even if I manage to finish it before the end of October, there won’t be time to start a new one by the beginning of November, officially National Novel Writing Month’s month to write a 50,000-word novel. Besides, earlier this year, between April and July, I posted a complete novel, The Doomsday Symphony, on the blog. Not one person told me they were reading it - or have since. The creation of Art is still hard work – especially considering I’ve spent a year crafting 140,000 words of a novel that’s still unfinished and it took me a year to compose a string quartet which never achieved a second performance. I would have to admit that writing a novel is more fun. But music, however, is what fulfills me and I miss having that in my life. Beethoven’s musical output, like his life, can be conveniently divided into three parts – Early, Middle and Late. It is fortunate for listeners as well as program note writers that this is so because it gives us something to listen to and talk about, a way of pigeon-holing the unpigeonable. If you were outside a few weeks ago – on Saturday morning, September 22nd, around 10:47 – you probably didn’t notice the arrival of autumn. If, as I was told in my 8th grade world history class, that the Modern Age began on in 1492 when Columbus discovered America (considering most 14-year-olds then or now would think anything that happened before they were born was ancient history), to most people alive at that time, they probably didn’t notice much difference between 1493 and two years before. When we listen to music, time in music history becomes very fluid and I don’t just mean the suspension of time where you’re unaware that a half-hour has passed when you were listened to a piece you enjoyed or thinking “there’s an hour I’ll never have again” when you didn’t. The decades run together and the distance between Mozart and Beethoven may not seem significant: 23 years between the Mozart that opens the program and the Beethoven that closes the program may seem the wink of an eye compared to the difference in sound between the Mozart and the next work on the program, the quartet that Witold Lutoslawski wrote in 1964, 178 years after Mozart’s. Part of this is what I’ll be talking about at my pre-concert talk on Wednesday night – the perception of the familiar compared to the perception of the unfamiliar – as an example, the idea of taking Beethoven’s Late Quartets which, in Beethoven’s day, were unintelligible to his audiences and remained so well into the 20th Century but are now recognized as among the greatest masterpieces of music history. Why the change? That’s just an example of how fine the line can be between something that happened and something that almost didn’t happen. What if Mozart hadn’t died at the age of 35? If it’s true Mozart heard Beethoven improvise at the piano when the young man – then 21 – first visited Vienna hoping to study with Mozart only to have to return to Bonn because his mother was dying, how would things have gone when Beethoven returned to Vienna “to receive the spirit of Mozart from the hands of Haydn” a year later? Haydn proved an indifferent teacher to Beethoven: Mozart was always his model. Of course, Haydn was still the master of the symphony and the string quartet, the two foremost forms of late-18th Century instrumental music (Mozart was regarded more as a performer and a composer of operas and concertos in Vienna, by comparison). Beethoven, being Beethoven, was more interested in finding his own voice than emulating his Master but it was Mozart’s spirit of independence (breaking away from the strict control of his father and pursuing a free-lance career in Vienna) that spoke more strongly to Beethoven. When Mozart wrote his six “Haydn” Quartets (see my earlier post), he was trying to combine two stylistic elements of the day: what we call the “gallant” style which was primarily the elegant sense we normally associate with Classical Music (capital-C classical music) – with it, its images of powdered wigs and drinking tea from fine china cups, pinkies raised – with a more intellectual and, to be honest, more old-fashioned style (judging from the listeners at the time) already forgotten from the days of the already-forgotten Johann Sebastian Bach, basically bringing in the idea of Baroque Counterpoint. If you are a fan of the Dialectic – where, basically, an idea (or thesis) generates its opposite (or antithesis) which then combine to form a synthesis which in turn becomes a new idea generating its own opposite and so on – both Mozart and Haydn are interested in fashioning something new out of a combination of the current and the old. Beethoven, in his own way, was doing the same thing in the next generation: we have no idea how Mozart would have reacted to it (he would’ve been 44 in 1800, when Beethoven’s first quartets and 1st Symphony were premiered) but Haydn (who was 68, then) couldn’t make much sense out of it, admiring some of it but basically at a loss to endorse it. By the time Beethoven wrote his Late Quartets – the ultimate in individualism, music so private it was deemed, for better or worse, the result of his deafness – he was well past the heroic outbursts of his Eroica and 5th Symphonies, in his 50s (we tend to forget Beethoven died at the age of 56 – his music has not only made him timeless, it’s also made him ageless). In a sense, Mozart’s K.499 Quartet is a transition work though, unfortunately, he didn’t live long enough to complete the transition (one can only imagine, given the contrapuntal complexity of, say, the “Jupiter” Symphony’s finale from 1788, only two years later). Performers, programmers and program-note writers never seem to know where to put Beethoven’s two “lone” quartets – the “Harp” (Op. 74) and the “Serioso” (Op. 95). They’re not quite Middle Period and not yet Late Period. What they are, basically, is an example of how Beethoven did not wake up one morning with a whole new stylistic approach, the Late Period, which seems to begin around the “Hammerklavier Sonata” (1817-1818) before we get to the last three piano sonatas (1820-1822), the 9th Symphony (1822-1824), the Missa Solemnis (1819-1823) and the Late Quartets (1823-1826). There is also that very long, very frustrating unproductive period between 1815 and 1818 or so, when his creative output was the lowest during his career and many of his contemporaries thought he had written himself out. Today, we might think of it as a musical extension of a Mid-Life Crisis (he was in his mid-40s) and it would also be easy to blame it on the sheer amount of time and emotional energy consumed by his legal battles with his sister-in-law Johanna for the custody of her son, Karl, not to forget the sudden change in lifestyle when a man who could not imagine marrying, as much as he might seek the companionship of a wife, suddenly found himself with a teenaged boy under his roof. What we also don’t realize is, after looking after the dates the “Harp” and the “Serioso” were composed, how much further away they are from this “Late Style” and how very much closer they are to the major works – in fact, even in between some of these major works – of the Middle Period: the 5th Symphony (1804-1806) and the 7th Symphony (1812). The “Harp” Quartet (Op. 74) was written between late 1808 and 1809 and the “Serioso” (Op.95), despite its later opus number, was completed in 1810, not published for some reason until 1816. Given the regard the public has always had for Beethoven, even in his own day, it’s difficult to think of him as humanly fallible, at least in his music, that he could ever have doubted his own genius – this man who became the Titan, the supreme example of the confident artist. But a creative style is a fluid thing – or at least, should be – and once a composer has realized he has said all he can say “this way,” he starts branching out for “new ways” to express himself – and these days, I should be using the clumsy “he/she construction.” But such breaks with the past, if conscious, are often scary – and as much a financial risk if your livelihood depends on the audience response to your work. Beethoven told a friend that he was dissatisfied with what he’d composed so far and “from today on, I will take a new path.” This, apparently, was early in 1802 (whether in a letter with a specific date or a conversation, I can’t find anything more specific). He had also written the famous Heiligenstadt Testament on Oct. 6th, 1802, in which he detailed his fears about his impending deafness, a serious-enough crisis that required considerable energy to overcome. When, exactly, he may have realized something similar a few years later, he was clearly looking for a new ways to express himself: there is a new lyricism in the music written after the 5th Symphony (written simultaneously with the much less dramatic Pastoral), especially in the 4th Piano Concerto and the Violin Concerto, both expansive works but whose expansiveness is not the result of the same heroic tension. If composers wrote string quartets and symphonies “in sets” – Haydn’s two sets of “London” Symphonies (six written during his first visit to London, six more during the second), Mozart’s six “Haydn” Quartets and Beethoven’s six Op. 18 Quartets – Beethoven often wrote works in contrasting pairs, giving rise to the issue about even and odd numbered symphonies. It happened that the odd-numbered symphonies were considered the more “forward-looking” ones and the even-numbered ones were the more relaxed, less “great” ones. The reason for these pairings probably still dates from the curiosity many artists had about the varieties of ways they could express similar ideas (not necessarily the same themes) or find ways of contrasting their ideas within a given framework of time. This often led to a kind of “compartmentalization” of their art versus what was going on in their lives – Mozart’s ability to write “happy” music at a time of great anxiety in his life, for instance, or Beethoven, after writing that heart-rending Heiligenstadt Testament, could produce the jubilant finale of his 2nd Symphony. Just because a work was particularly dramatic did not mean the composer was dealing with some personal crisis he was expressing in his art – like Mozart, at 17, writing the “Little” G Minor Symphony. We associate the “Fate Knocks at the Door” program behind Beethoven’s 5th Symphony with his deafness which only limits the impact of the music: it transcends his own experience to embrace the universal conflict that any man – Everyman – can experience at times of crisis (just as Tchaikovsky, Mahler and Shostakovich did in their 5th Symphonies and which Brahms did in his 1st). Though the late quartets were conceived originally as a set of three commissioned by a Russian count (remember, Mozart’s last quartets were also a set of three for the King of Prussia), he added two more and may have continued with another one (speaking of “what if…”). As for paired works, we know he was sketching a 10th Symphony in E-flat Major at the same time he was working out details of the 9th: there exist incomplete sketches for the 1st movement of the 10th found among his papers after his death. To find out the context of this string quartet known as the “Harp” – and its companion – we can look at the works he was composing around the same time and also at what was going on in his life. Looking at those works leading up to the “Harp” and “Serioso” Quartets – one, a more emotional, uncomplicated work; the other, as Beethoven subtitled it himself, a more “serious” work full of technical compositional challenges which the listener had to face intellectually – it’s interesting to realize after he’d finished the 5th and 6th Symphonies he focused almost entirely on chamber music except for the “Choral Fantasy,” written hastily for the premiere of the new symphonies; and the “Emperor” Concerto of 1809 (another unfortunate nickname not supplied by the composer – they rarely were). At the beginning of 1809, Beethoven composed the first standard piano trios he would publish since his Op. 1 set in 1797. The first of this new pair is the more famous “Ghost” Trio (its nickname comes from the spooky-sounding music in the slow movement originally intended for the Witches’ Scene of Heinrich von Collin’s adaptation of Shakespeare’s Macbeth which Beethoven had suggested as a possible opera subject – another “what if,” there – the project was abandoned in the 2nd Act because the poet found it “too gloomy”). This is a more daring, perhaps “experimental” work, structurally, the opening more of an overture to the slow movement which is the weighted center of the three movement work. The second, though – remembering the idea of contrasting pairs – is the classically oriented, easier-to-follow more traditional (and possibly more appealing) Trio in E-flat, Op.70, No. 2 in the more traditional four movements. In some ways, you could think the slow movement sounds more Haydnesque (not just the shapes of phrases but some of the humorous turns as well) – that “gallante” style transplanted to the new century – except Beethoven shows up in the contrasting episodes. Similar unexpected events – like the forward motion of the minuet in the 3rd Movement being brought to a halt – make you realize he’s not “imitating” the past: he’s absorbing it. Perhaps to listeners in 1810, the odd harmonic juxtapositions and flights of fancy in the finale would have seemed more like Haydn’s little jokes than bold strokes by an innovative (and modern) genius. Had those same “bold strokes” been included in a more intellectualized, harmonically and structurally daring approach, they would probably have been found confusing. If the legacy that Beethoven inherited from the past is his “thesis,” perhaps the Ghost Trio is its antithesis and, in a way, the E-flat Trio (too abstract to receive a nickname) becomes the synthesis. Having accomplished this balance – something Mozart was trying to accomplish in his Quartets dedicated to Haydn (something new out of a combination of contrasting elements of the past) – the next work on Beethoven’s desk appears to be the E-flat String Quartet, though it appears to been interrupted by the urgency of the “Choral Fantasy” for the December concert that saw the premieres of the 5th and 6th Symphonies. In this case, the “unprepossessing” work was written first, finished by the spring of 1810, before moving on to the Serioso that summer. In his biography of Beethoven, Maynard Solomon writes “Here, as in most of the other chamber and sonata works of this period, one senses that Beethoven was attempting to reestablish contact with styles from he had largely held himself aloof after 1802. Joseph Kerman writes that the Op.74 quartet is “an open, unproblematic, lucid work of consolidation” (similar to the E-flat Trio, Op.70/2), the Op. 95 quartet is “an involved, impassioned, highly idiosyncratic piece, problematic in every one of its movements, advanced in a hundred ways,” written with a more contrapuntally aware approach, often referred to as a “learnèd” style. This seems to be more logically the “transition” to that personal, more inward (and intellectualized) style of the Late Quartets, especially considering its publication in 1816 – yet it was composed in 1810 and would probably not have been possible with that “consolidation” of both the Op.70/2 Trio and the Harp Quartet. 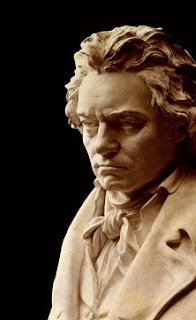 If you want to follow the evolution of Beethoven’s aesthetic thinking at this time in his life, go back to the familiar (and public) worlds of the 5th and 6th Symphonies, then listen to (if possible in as few sittings as possible) the A Major Cello Sonata (Op. 69), the two Op. 70 Piano Trios, the Op. 74 Harp Quartet and then the Op. 95 Serioso Quartet. Remember what I said about compartmentalization? The two very public works written during this same time – the Choral Fantasy and then the 5th Piano Concerto (the Emperor) – really don’t deflect from this train of thought. If anything, the Emperor Concerto returns to the Heroic Style of the 3rd and 5th Symphonies because of another reason which also involves a piano sonata (also in E-flat Major) written at the time, known as the Les Adieux Sonata. In the fall of 1808, Beethoven spent several months staying at the country estate of a friend, the Countess Marie Edrődy. While there, he composed both the Op.70 Piano Trios and dedicated them to her. Whatever his own attitudes toward women were, Beethoven was outraged when he discovered the Countess was having an affair with Beethoven’s man-servant and paying him money to keep him there when he threatened to leave Beethoven’s employment. Comments about this affair are scribbled into the margins of the sketches for the “Emperor” Concerto! The reality of 1809 can’t be ignored: Beethoven’s world was turned upside down (again) by the siege of Vienna and its subsequent occupation by Napoleon and the French Army. While composing the A Major Cello Sonata, he had to hide in the basement of his brother’s house, covering his head with pillows because the noise of the bombardment so aggravated his delicate hearing, he was in terrible pain (he was not, as we sometimes overlook, “completely” deaf since the Heiligenstadt Testament of 1802: that and the conversation books would come much later). It was also the time Haydn, recognized as the greatest composer of the day, was dying – Napoleon was respectful enough to put an honor guard in front of Haydn’s house at the time during the bombardment. Whatever their often prickly relationship may have been, this must have had some impact on Beethoven, his former student. During the occupation, the Imperial Family fled the capital – including Beethoven’s friend, student and, more significantly, patron, the Archduke Rudolph, the Emperor’s youngest brother, a talented pianist and composer in his own right. Several of Beethoven’s works are dedicated to him – not the least of them the “Archduke” Trio but also the Triple Concerto (written for him to perform) and the towering Missa Solemnis, composed (a little too late) for his being elevated to the post of Archbishop. The sonata Beethoven composed at this time reflects the farewell to the Imperial family, the desolation of their subjects during their absence, and then looking forward to their hopefully quick, eventual return. Another of Beethoven’s “public” projects was Incidental Music for Goethe’s play Egmont with its famous Overture but also numerous songs and marches. Considering the play is about the Dutch patriot’s stand against the tyranny of the occupying Spanish Army and its Inquisition, would there be any more reason for Beethoven – who had torn off his 3rd Symphony’s dedication to Napoleon after he’d crowned himself Emperor and proved himself to be just another power-hungry human – to compose this during the French occupation of Vienna? He began the work in October of 1809, though it wasn’t completed and performed until June of 1810, at which time he then began work on the Serioso Quartet. The French, meanwhile, had left Vienna on November 19th, 1809, and the Emperor returned on the 27th. Another important event happened before the French arrived: the economy was tanking and Beethoven was looking for a way to get out of Vienna, hopefully finding a more stable location with an actual “gig.” As it turned out, Jerome, King of Westphalia – Napoleon’s brother who’d been placed on the throne of a newly created German kingdom to ensure its political loyalty and act as a “model” for other Germanic states – invited Beethoven to consider becoming his court composer, an attempt to turn his capital, Kassel, into an overnight cultural center. Though it’s hard to imagine Beethoven, the composer of the Eroica Symphony, who broke his friendship with his patron, Prince Lichnowski because he refused to play for French officers who were guests in his castle, becoming an employee of Napoleon’s brother, but he let it be known he was considering it. His friend, Baron Ignaz von Gleichenstein, helped to negotiate a pension supported by three of Beethoven’s wealthiest friends and patrons: Prince Lobokwitz, Prince Kinsky and the Archduke Rudolph. This annuity allowed Beethoven the financial support to stay in Vienna. While funding was sometimes difficult, especially with the fluctuations of the Austrian economy during these years of Napoleonic Wars, the Archduke was the only one who never reneged on his obligation. Now, Baron Gleichenstein was also an amateur cellist. After these finances were finalized, Beethoven composed the A Major Cello Sonata and dedicated it to Gleichenstein. However, in 1810, he apparently was again making plans to marry someone else and there have been rumors (the Beethoven Myth Machine is still potent, even today) that he was secretly married to another Therese, this one one of his piano students, one of the von Brunsvick sisters – both of them have long been candidates for the mysterious and so far unidentified “Immortal Beloved.” They, by the way, had a cousin named Giulietta Guicciardi with whom Beethoven had earlier been in love with. To Giulietta, he dedicated the “Moonlight” Sonata of 1801; to Therese von Brunsvick, he dedicated the Op. 78 Sonata in F-sharp Major, a seemingly slight work in two short movements but one he frequently called one of his favorite pieces. It was also composed in 1809, around the time he was writing the “Harp” Quartet! Because an artist is often like one long fabric flowing through time, we discover numerous strands weaving together that can create a complex life as well as an equally complex context for the creative works. There is another aspect I’ve only barely touched, and that is Beethoven’s health – seriously, much more than just his deafness – which also had serious impact on his life though perhaps less so on this particular piece. There have been many posts here about Beethoven, the man and his music, which you can read for further background: “Beethoven Before He Became a God” and “Beethoven, the Man Before the Myth” (early Beethoven) plus “Beethoven and His Women” and also about particular works like his 8th Symphony and the old odd/even conundrum about the numbering of the symphonies I’d mentioned. But, seriously, there comes a time I must simply stop writing or you’ll end up with a book. In 2006, they rang bells for Mozart in January on the 250th Anniversary of his birth. Between that and the 100th Anniversary of Shostakovich’s birth in September, there had been a fair-to-great amount of concert programming in their honor. There was one anniversary that year generally overlooked, not the kind we’re inclined to ring bells about and it’s not exactly a cause for celebration: July 29th, 2006, had been the 150th Anniversary of the Death of Robert Schumann. Nor are insanity and suicide comfortable topics for public entertainment. Among the many “What If” Games one can play – what if Mozart had lived to be 75, not just 35; what if Beethoven hadn’t gone deaf? – you wonder what Schumann could have done if what we now think of as “manic depression” or “bi-polar disorder” had been treatable during his lifetime? What might his music have sounded like in these last years if he had not tried to commit suicide when he was 43, dying 2½ years later in an institution not far from the River Rhine? First of all, the idea of “manic-depression” is usually over-simplified: it’s a lot more than just sudden changes between elation and depression, high energy and exhaustion. Those are certainly aspects of the disorder that affected Schumann throughout much of his life. Much has been made of his “alter-egos” – his “imaginary friends” – Florestan and Eusebius, not to mention Master Raro. These are names he created for the different aspects of his own personality. The first two became members of the David’s Club (fighting the Goliaths of the old-fashioned Philistine musical society of Germany then), and also appear as guests in “Carnaval.” It would appear they were also on the staff of the magazine he edited. 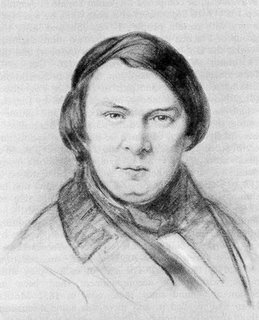 Florestan came first – ‘born’ on Schumann’s 21st birthday – a man of action, perhaps someone Schumann aspired to be. He was inspired by the great writer Jean Paul Richter who’d created a pair of twins opposite in character to describe the various aspects of a man’s personality. It wasn’t until a few weeks later that he created Eusebius, the dreamer who you could say (in today’s terms) represented his inner feminine side, constantly pondering the meaning of life. Raro was originally his fictitious embodiment of his teacher and unwilling future father-in-law Friedrich Wieck but later Raro became the combination of Florestan’s and Eusebius’ personality in one rational thinker. Schumann, as founder of the musical magazine, “Neue Zeitschrift für Musik” (New Journal for Music, essentially a magazine for new music) wrote reviews and articles signed by these various creations of his, examining a work from one particular viewpoint, sometimes even having what we might consider a panel discussion between them on a certain topic. As if no one else could figure it out, it seemed to save Schumann some professional grief as well (he had enough issues with libel suits: in 1842 he'd been sentenced to jail time that was then commuted to a fine): people couldn’t very well attack him since he hadn’t signed it! Eusebius appears to have quit the paper in 1836 and Florestan was finally laid to rest in 1842. It was certainly a very creative way to handle criticism in an age that was pretty old-fashioned and probably more an imaginative mind trying to find ways to ‘grab’ his readers than a symptom of a future illness. If you look at the list of works Schumann composed, you realize many of them came about in bursts of creative activity: the year he and Clara were finally able to marry, he composed about 150 songs, but the next year, after the wedding, he began to write symphonies, which Clara felt was his true calling. That calendar year he composed his 1st Symphony, the “Spring Symphony;” then a three- movement piece that eventually became known as the “Overture, Scherzo and Finale,” a symphony in all but name minus a slow movement; next, a symphony in D Minor that didn’t please him or the audience at its December premiere so he withdrew it and 10 years later reworked it (which is how it became his Symphony No. 4); and finally he sketched much of another symphony in C Minor which apparently disappeared into the wastebasket; and in the midst of this wrote a Fantasie for Piano & Orchestra in A Minor which Clara premiered 19 days before the birth of their first child, the Fantasie that later became the first movement of the Piano Concerto. The next year began with him finding himself unable to compose and dealing with Clara’s absences during her concert tours. At this point, he had only a few pieces to his name and at the age of 32 was regarded more as a writer about music than a writer of music, realizing he was considered Mr. Clara Schumann since she was clearly the better-known talent. But 1842 became a year of chamber music. In the first three weeks of June he composed his three string quartets, then in late September wrote the Piano Quintet and a month later the Piano Quartet plus a piano trio written a month after that along with some other less-well-known pieces before the year was out. An opera project that had been occupying his mind for 18 months became an oratorio (“not for the oratory”) called Paradise and the Peri which he completed in June of 1843. Then he was exhausted and unable to compose for months. Clara (with the help of their friend Mendelssohn) talked Robert into going along on her Russian tour, something he dreaded: worse, perhaps, would have been staying home alone while she was gone for five months. During the tour, however, Schumann suffered “fits of melancholy,” though how much of that was physical and how much of it stemmed from his inability to compose (even if he could, would he have been able to concentrate on it during the tour) and then playing second fiddle to his wife created all kinds of issues (usually it was the other way around, wasn’t it: the talented wife forced to play second fiddle to her more famous husband, even giving up her chance at a career to be wife and mother). Plans for various opera projects came to nothing after their return to Leipzig and in August, Schumann had a very serious nervous breakdown. He couldn’t even listen to music which he wrote “cut into my nerves as if with knives.” Yet he felt slighted when his friend Mendelssohn stepped down at the Gewandhaus in Leipzig to be replaced by someone else. Yet who could blame them: he was an inexperienced conductor and, frankly, he was a mess. A trip to Dresden didn’t help: it only got worse. Each morning, Clara would find him “swimming in tears.” But eventually they moved there – by comparison to Leipzig (a hotbed for new music then), Dresden was more old-fashioned and, well… dull which she thought might soothe his nerves. After the new year, he began studying Bach fugues (he called it “cure by counterpoint”). That summer, he wrote a Rondo for piano and orchestra for Clara, then added a slow movement which were in turn added to that earlier Fantasie to create a complete Piano Concerto – who would know, listening to this piece, what torment existed in between the first and second movements!? Except for the upheavals of the 1849 revolution that affected Dresden – you can read about their escape from the street-fighting as part of an earlier post, “The Extraordinary Life of Clara Schumann” – for the most part it seemed a good time, aside from a period of depression around his 39th birthday (hey, been there/done that!). By that September, he had written a series of piano duets “for small and large children,” including a Birthday March which he and their eldest daughter Marie performed as a surprise for Clara on the morning of her 30th birthday. But things were going nowhere in Dresden, so when a friend told him about a job in Düsseldorf, he checked it out: it was a beautiful small town on the banks of the Rhine but the fact the town had a lunatic asylum (as they were called then) bothered him – it reminded him of his father who suffered from a “nervous disorder” and any talk of insanity bothered him. But since nothing better seemed to be coming along, he reluctantly accepted the position when it was offered to him, though he put off his arrival there all summer. He would be the town’s “music director,” primarily conducting the orchestra and various choruses in town, a composer-in-residence for the city. He and Clara were warmly received there, but Schumann did not care for their lodgings, complained of the noise and then of not feeling well, exhausted by the move and all the changes. A month later, he attended a ceremony in the Cologne cathedral when the Archbishop was enthroned as a Cardinal – an experience he would soon reflect in his next symphony. In six days he composed his cello concerto, then finished orchestrating the score in another eight days, completing it on the same day he conducted his first concert with the town’s orchestra. His debut went well enough and everybody seemed pleased. Clara had been the soloist and the major ruffle in the new conductor’s feathers was that she was toasted at the reception more enthusiastically than he was. A week later, he began writing his “Rhenish” Symphony (we know it as No. 3) and it was a big success when it was premiered that winter. But the honeymoon was short-lived: there were misunderstandings – it seems Schumann, always a loner, had trouble dealing with the affable locals: he found them too talkative and not serious enough for his liking. One can only imagine how the good citizens of Dusseldorf regarded this big-city/celebrity attitude. His limitations as a conductor quickly became apparent and any thought of his staying there much longer seemed fairly mutual. In the midst of all this, through 1851 and 1852, he revised his earlier D Minor Symphony (written shortly after the 1st but now published as No. 4), composed a great deal of new music, mostly choral pieces, songs and chamber music, even while angry with the people he had to deal with on a daily basis as part of his job. He was fighting an up-hill battle with the choir, partly because of his poor conducting and his championing of Bach’s music which they couldn’t understand. Soon, the stress began to affect him, and in April of 1852, he suffered a “rheumatic attack,” as Clara called it in her dairy, suffering from sleeplessness and depression. Later that month, he sketched his Requiem in 12 days, then spent 8 days orchestrating it. But still, that summer began a very productive period: while there were some mechanical arrangements of pieces made for the amateur market (piano adaptations of his string quartets), he wrote a collection of short pieces for clarinet, viola and piano in October, shortly after Brahms first visited the Schumanns, called “Fairy Tales,” a title he generically applied to many short pieces that created the mood of such tales, not necessarily telling actually stories in the music. Schumann, the son of a book dealer and publisher, originally was torn between becoming a writer and novelist or a musician. This interest in “spinning a story” in his music combines these two early dreams of his. There was also the Fantasy in C for Violin & Orchestra which he wrote for the 21-year-old violinist sensation, Joseph Joachim, which pleased him very much. For Clara’s 34th birthday and their 13th wedding anniversary, Schumann gave her a brand-new grand piano piled high with new music for her. She wrote in her diary “am I not the happiest wife on earth?” But later that month she discovered she was again pregnant and a long-awaited English tour would have to be called off. On the day that month she wrote she was “more discouraged than ever,” the Schumann’s had a visitor, a friend of Joachim's: a 20-year-old composer named Johannes Brahms. As a result of these new friendships, Schumann invited Brahms and Albert Dietrich, one of his students, to write a violin sonata for Joachim, a work by committee which became known as the more-famous-than-played “F-A-E Sonata,” the nickname representing Joachim’s favorite quote, “Free but Lonely,” turned here into a musical motive. Just to make sure his own effort didn’t go to waste, Schumann took the two movements he wrote for this work and added two more of his own to produce a completely original violin sonata which is usually not included even in recordings called “the complete works” for violin and piano. There were problems, meanwhile, with his day job: the choir refused to have him conduct anything except his own pieces. A delegation from the orchestra essentially requested the same thing. Instead of dealing with this, Clara took Robert with her on a tour of Holland where they were both received enthusiastically. The good burghers of Düsseldorf complained of a breach of contract but the mayor insisted that Schumann’s salary still be paid (he even assured it would be payed during his ensuing treatment). Not long after they returned, on February 10th the “final breakdown” began. One of the things that bothered Clara was Schumann's new interest in "table-tapping" – not, as I first thought, that annoying drumming on the table with the fingers: in this case, it was a way of communicating with the dead, a form of spiritualism. In addition to the tinnitus – hearing the sustained pitch ‘A’ almost constantly at various levels of volume – he also began having other “auditory hallucinations.” He told a friend that the ghost of Franz Schubert had sent him a wonderful melody that sounded as if it had been sung by angels, and he began to compose a set of variations on it, not realizing it was actually based on the slow movement’s theme from his recent Violin Concerto. At times, he was tormented by the theme now being sung to him by devils and in his confusion he became erratic – on February 26th, he told Clara he would need to go to the asylum for treatment, not knowing what he might do during the night. The next morning, when the doctors were summoned to the house, Schumann awoke in deep melancholy. The oldest daughter, Marie, who was 12 then, was told to keep an eye on him while Clara met with the doctors in another room. Later, Marie described it: the bedroom door opened suddenly and he stood there “in his long, green-flowered dressing gown. His face was quite white. As he looked at me, he thrust both hands in front of his face and said, ‘Oh, God.’ And then he disappeared again.” Dazed for a moment, she then went into the room only to find he’d escaped through another doorway and had run out of the house. As Clara and the doctors ran about and alerted the neighbors, Marie discovered “a noisy crowd of people coming toward me and as they came closer I recognized my father supported by two men under his arms, his hands in front of his face.” Clara was urged to stay with a neighbor, her presence too emotional for Schumann to bear – and perhaps vice versa. The doctors procured an attendant for Schumann and five days later, the children watched from an upstairs window as their father was placed in a carriage and driven away. They would never see him again. Schumann had run down to the Rhine and thrown his wedding ring into the river. He had only moments before told Clara, who tried to comfort him, that he was unworthy of her love. Perhaps he had gone to throw in the ring and only dove into the river – the great German river whose life he had celebrated in his 3rd Symphony – to retrieve the ring, not to commit suicide. There is no way of knowing for sure. It all happened so fast. Schumann spent the rest of his life at the asylum in Endenich outside Bonn. Clara was not permitted to visit him. Occasionally, on good days, he received visits from Joachim or Brahms who would report to her, but the doctors felt his seeing her would be more than his system could bear. Not much was known about Schumann’s treatment or his life for the next 2½ years. It was only in 1991 that a diary kept by Schumann’s doctor was made public, having passed down through generations of relatives until it had reached a nephew who was also a composer, Aribert Reimann (most famous for his opera based on Shakespeare’s “Lear”, premiered in 1978). He received it in 1973 and kept it private as requested – patient/doctor confidentiality – but finally he felt it had to be made public (the original link is no longer working and I haven't been able to find any re-posting of the document). As his health deteriorated in the summer of 1856, Clara was summoned twice to Endenich – on July 14th and 23rd – but neither time was she allowed to see her husband. On the 27th, she was summoned once again and this time allowed to see him, as she wrote in her diary: “For weeks he had eaten nothing but wine and [jelly] – today I gave it to him – and he took it with the happiest expression and in haste, licking the wine from my fingers – ah, he knew that it was I.” On the afternoon of the 29th, she went to the train station to meet Joachim and Brahms but when they arrived back at the hospital, they found that Schumann had died quietly and alone in his room. As for the Violin Concerto, both Joachim and Brahms agreed with Clara’s misgivings about the work, citing “dreadful passages” which she hoped Joachim could rewrite. He tried it two years after Schumann’s death and found it a disaster. Daughter Eugenie Schumann related later how she remembered Clara coming into the room one night and announcing sadly that she, Joachim and Brahms have just agreed that Schumann’s violin concerto would not be published, “not now nor at any time.” Joachim explained “it is not of equal rank with so many of his glorious creations.” His son later sold the manuscript to the Prussian State Library in Berlin with the stipulation that it would not be published or played until a hundred years after Schumann’s death (that would be 1956). Joachim had a great-niece who was a brilliant young violinist in her own right. Jelly D’Aranyi was also psychic and in March of 1933, she and friends were playing with a ouija board when she received a “spirit message” telling her to find and play an unknown work – when asked where this message was coming from, the ouija board spelled out “Robert Schumann.” Now, granted, as a grand-niece of Joachim’s, she probably knew about the suppression of the piece and the message apparently didn’t tell her where to find it. Anyway, she found the manuscript and was making arrangements to perform it in 1937 but her performance was postponed after opposition from Eugenie Schumann (and a copyright claim by Hitler’s government). She gave her first performance of it in England in 1938 but only after another violinist gave the actual first performance in Berlin in 1937 after all. Picture credit: Chalk drawing of Schumann by J.J.B. Laurens, done in 1853, the year before his attempted suicide: the artist at the time commented on the abnormal enlargement of the pupils of Schumann's eyes.